Kalstop is a natural and biodegradable product designed to prevent the formation of limescale and improve steam delivery in appliances with boilers. 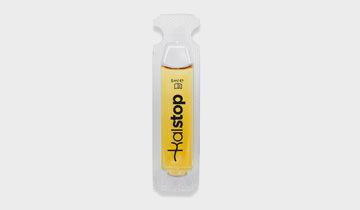 Consistent use of Kalstop lengthens the life of your appliance. Kalstop mixed with the water in the tank or directly in the boiler prevents the formation of limescale. Used regularly it lengthens the life of the product and helps to keep it effective over time. Kalstop is indicated in the presence of a highly encrusted boiler and it is recommended for both the routine and extraordinary maintenance of your appliance (see directions in the instruction manual). Compatible with: Vaporella Silence series - Vaporella Forever 6xx series - Vaporella 5xx series and similar - Vaporella 850/870/1400/1905 - Vaporella 2H, Super Pro, 4500R. Pro 3100R, Prof 1300. Compatible with: Vaporetto Comfort and Vaporetto Express, PRO e CLASSIC series, Vaporetto Eco Pro 3000, Vaporetto Eco Pro 3.0, Vaporetto Pro SMART and HANDY series. Compatible with: Every Unico model.